Selecting custom uniforms for your employees is a great way to promote your business. However, you may not be sure about what choices to make when you're ordering custom uniforms. Here are a few tips when you're deciding how you want your company represented through the uniforms your employees will wear. 1. What Type of Fabric Will You Need to Use? Depending on how much physical activity your employees will be doing, consider whether you want to go with cotton custom uniforms, polyester or nylon. Also think about what the temperature is like for your employees. Are they outside? If they are and the weather gets warm, cotton may be a more suitable fabric. Polyester or nylon may look dressier, but it can be heavier and may be better for indoor, air-conditioned environments. Also, consider your employees and their busy schedules; make sure the custom uniforms are easy to wash.
2. What Color Will They Be? This part of the process is usually the most fun, however, you’ll want to make sure to keep the uniform color as close to the company branding as possible. When picking your logo or embroidery, make sure to ensure high contrast between the logo and garment. Some popular colors that work well for this contrast include black, navy, & white. White embroidery shows up very well on a navy garment and its dark counterparts. Whatever you decided to choose, make sure the embroidery or logo is easily readable, especially from a distance. 3. Embroidering or Screen Printing? Embroidery may look best for a small logo on the front of the shirt. If you want a larger or all-over design, screen printing will be the best option. For a cotton T-shirt, one option is to embroider the employee’s name on the front of the shirt and do a large, screen printed logo on the back. For golf or polo shirts, an embroidered logo on the front looks nice. It really depends on what you want on your shirts and what your budget is. Talk it over with the printing company to help make a decision based on your needs. 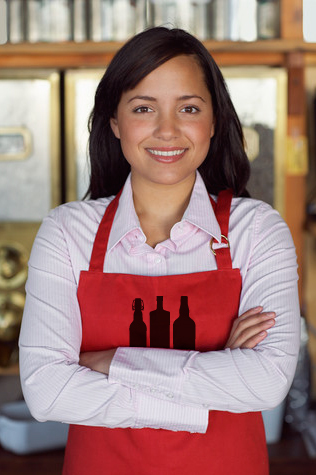 If you’re choosing custom uniforms for a restaurant staff, consider embroidering their aprons for a polished look. 4. Feel Free to be Creative. Do you have an important promotion coming up? Screen print a design with information about it on the back of specialty uniform shirts. Consider changing up your employee’s uniforms based on seasons, such as darker shades for winter and a brighter, more fun color and logo for summer. Changing up uniforms can add interest to your business and catch customer’s eyes. They may want to read about the promotions on the back of your employee’s shirts, which is a great form of advertising. Think about your employee’s custom uniforms as a platform for advertising for your business. 5. Know How Many Custom Uniforms You Need, But Order Extra. The more you order, the less the cost will generally be, and you’ll have extras on hand for new hires or extra seasonal employees. Have a range of sizes and you never know when one of your employees will have a damaged uniform or need an extra at their disposal, and you won’t have to go through the process of ordering more at that time. 6. Talk it Over With Your Staff. After all, they are the ones that will be wearing the custom uniforms. Ask for their input about the new custom uniforms and see what they think. Take their opinions and thoughts into consideration, and let them help design a cool logo if you don’t have one, or think about what color they’d like their uniforms to be. This gets everyone excited about the new uniforms and your employees will feel like a part of the action. When you come into the print shop, try to have an idea of what you want to order. If you’re able to share your vision with your insider rep, the process of printing your uniforms will go very smoothly. However, an insider rep will be happy to work with you to create your vision from the ground up. 8. Allot Time to Create Your Custom Uniform. 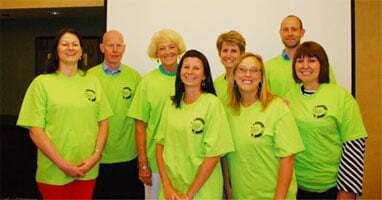 If you know you have an employee event or picnic in five days and you want custom uniform shirts for your employees to wear, that may be cutting it close. Leave us at least 10 business days to get your uniforms ready for you.